(2015/Dust To Digital) 20 tracks. On April 17, 1975, Phnom Penh fell to the Khmer Rouge and Cambodian rock and roll was no more. It's star musicians were targeted and killed, record collections were destroyed, clubs were closed, and Western-style music-making, dancing, and clothes were outlawed. The deaths of approximately two million Cambodians and the horrors of the Killing Fields have been well-documented; add to this John Pirozzi's fascinating tale of Cambodia's vibrant pop music scene, beginning in the 1950s and '60s, influenced by France's Johnny Hallyday and Britain's Cliff Richard and the Shadows. The filmmaker has assembled rare archival footage, punctuating it with telling interviews with the few surviving musicians. Cambodian culture has long been synonymous with a love for the arts. Pirozzi's 2014 film Don't Think I've Forgotten pays homage to the country's rock legends who paid for their creativity with their lives. Through the eyes, words, and songs of it's popular music stars of the '50s, '60s, and '70s, Don't Think I've Forgotten: Cambodia's Lost Rock and Roll examines and unravels Cambodia's recent tragic past. This soundtrack to Pirozzi's important film, compiled by the director, is very cinematic in nature. 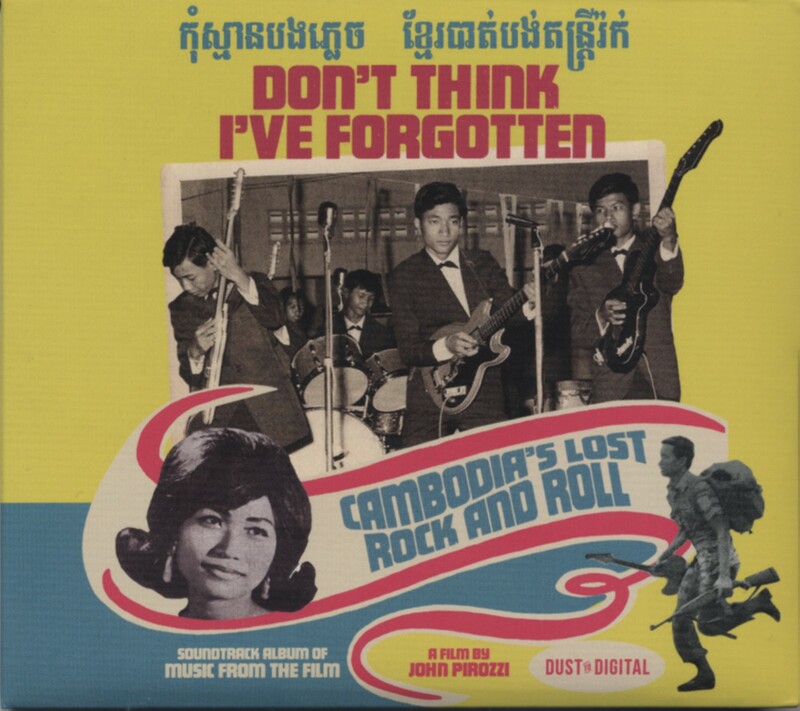 The sequencing and newly-remastered audio transport the listener through the rock and roll history of Cambodia in a similar fashion as Pirozzi's documentary film. It is both entertaining and essential to hear so many tracks that are available outside of Cambodia for the very first time. Includes tracks by The Royal University of Fine Arts, Sinn Sisamouth, Chhoun Malay, Huoy Meas, Baksey Cham Krong, Ros Serey Sothea, Pen Ran, Sieng Vannthy, Va Sovy, Drakkar, Pou Vannary, Yol Aularong, and Cheam Chansovannary. Kundenbewertungen für "Don't Think I've Forgotten: Cambodia's Lost"